Real Estate is always in a state of change which makes buying and selling homes a challenge sometimes and a breeze other times. Still, in spite of market fluctuations, dozens of homes are sold each month in Grayhawk. You may ask yourself "what's the difference between homes that sell and homes that don’t?" The answer - "It's in the details." When you decide to hire The Grayhawk Group at RE/MAX Fine Properties, you'll benefit from our: experience with all different market conditions, proven sales approach, effective marketing campaigns, and utilization of our existing network of home buyers. When you choose The Grayhawk Group, no detail is overlooked! With a proven track record and years of sales experience within Grayhawk, our team has all the tools needed to sell your home for the most amount of money in the shortest amount of time. If you’re serious about selling your home, we’re serious about getting the job done. Trust the only exclusive Grayhawk.com real estate team - The Grayhawk Group. Del was the best and a total professional. He stepped right in after we had a problem with our previous Realtor®…and we had a contract thanks to Del within a week! He was always available for questions, very knowledgeable, and extremely energetic! I would definitely recommend Del to anyone looking for a Realtor®. 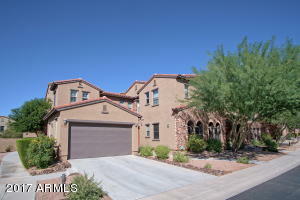 I was part of two real estate transactions, a home sale and a home purchase, in the same area of Scottsdale. Chris Usher handled both transactions flawlessly. The distinguishing part of each transaction was how involved Chris was in working with contractors for changes that I made in both homes along with her aggressive marketing strategies to facilitate the sale. There were numerous open houses along with print advertising and follow up with prospective buyers. She was in constant communication with me to ensure that I was always well informed. Her personal and professional approach is something that puts her in the elite category of real estate professionals that I have dealt with. Chris is extremely professional. She listed my house when I was out of town and kept me updated consistently on showings. She communicated effectively and resolved any issues that came up quickly. Chris was also my agent when I was buying my current house. She is vigilant about every step of the buying process. Del was terrific to work with. He was extremely responsive and his experience came through in the negotiation processes. He not only listed and sold our house in a very timely manner, but also helped us to find and purchase our new house. He was extremely patient with us as we looked at a lot of houses in order to figure out and find the one that fit our needs. Once we found the one we wanted, he helped guide us successfully through the offer and counter-offer process. 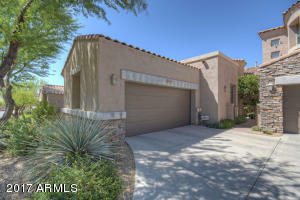 Darren is very knowledgeable about the Scottsdale market, including Grayhawk. When I contacted him, he was very quick to reply and meet me to discuss listing my condo. Darren and his team worked to keep me informed regarding showings and feedback. Paperwork was also processed quickly with his team. I would highly recommend him to list your property.